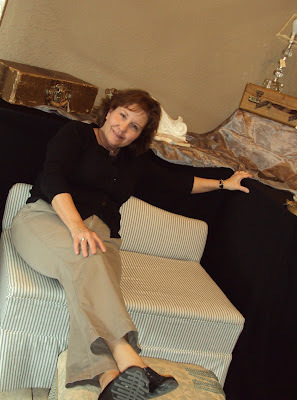 Cottage Elements: The French Flea - My Latest Adventure! Beginning May 1, I'm starting out on a new venture. 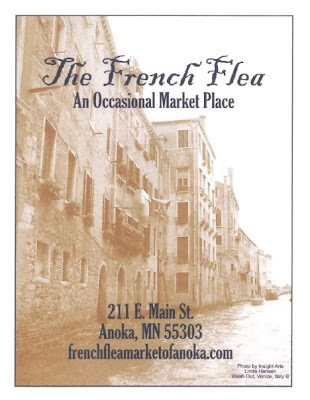 An occasional sale is opening in Anoka, MN called "The French Flea" and I will be a part of it. If you're not from Minnesota (ya sure, ya betcha!) and not familiar with occasional sales, they are sales typically only open four to five days a month. They are very exciting and the frenzy that ensues at the beginning of these sales is incredible to say the least. 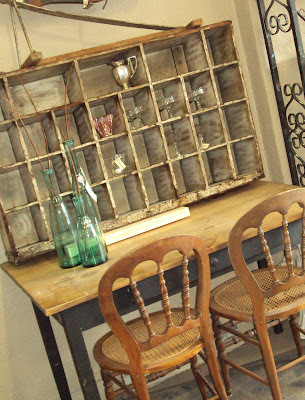 This particular sale is running on a French/European Country theme (oh-la-la!) and will be open every second weekend of every month. One thing they're doing different with this sale is that it's not going to be individual booths, say like a typical antique store. All the different dealers, about ten in all, will be mixing their items together, to have a more cohesive feel. It will be more muted colors and neutrals, and of course black. But all vintage!! So if you happen to be in the Twin Cities, live near it, or are looking for something to do, come and visit us. It will be tre magnifique! Here are a few "before" and "during" set-up pictures. 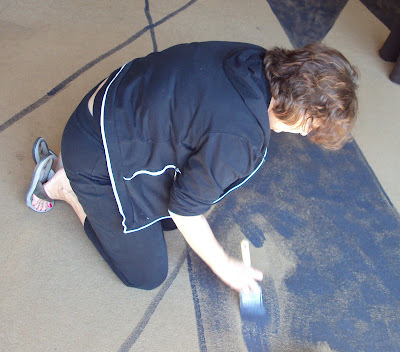 And yes, we are painting the carpet! Ha! Julie breakin' after all that paintin'! Ha! Sounds like fun fun fun. Of course you know I'll be there. Looks like the store is coming together great....would love to be there! Your photos leave me wanting more, Lani! Love the painted carpet. I bet it will looking amazing once your inventory has been placed. Congrats and please keep us all updated! Well...will just have to add this to my "To Do" list!! super exciting for you!!! congratulations and best wishes!! Thanks, y'all! It's coming along and I'll post more when I can (still going crazy trying to get my stuff ready, YIKES)! ND gals, you'll have to make another trip down here. Would love to do lunch again,too! And I'm still thinking we should meet sometime in Fargo! Tracey, I'm sure I'll see you there! Karlene, hope things are well with you. You'll have to stop by as well. Don't forget about the Customer Appreciation Night, too, on the 13th! Lot's of good old fashioned socializing!! Btw, Sue Whitney will be there on the 16th at 10:00 am and will be signing her new book if anyone is interested! Can't wait to see the new place in person! 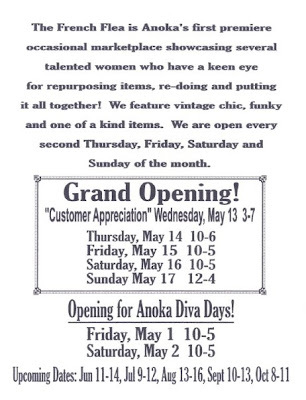 I'm sending my friend over to check it out when you first open in May (she lives just outside Anoka). Glad to see that Julie got a break from all the painting. It most take a lot of energy.